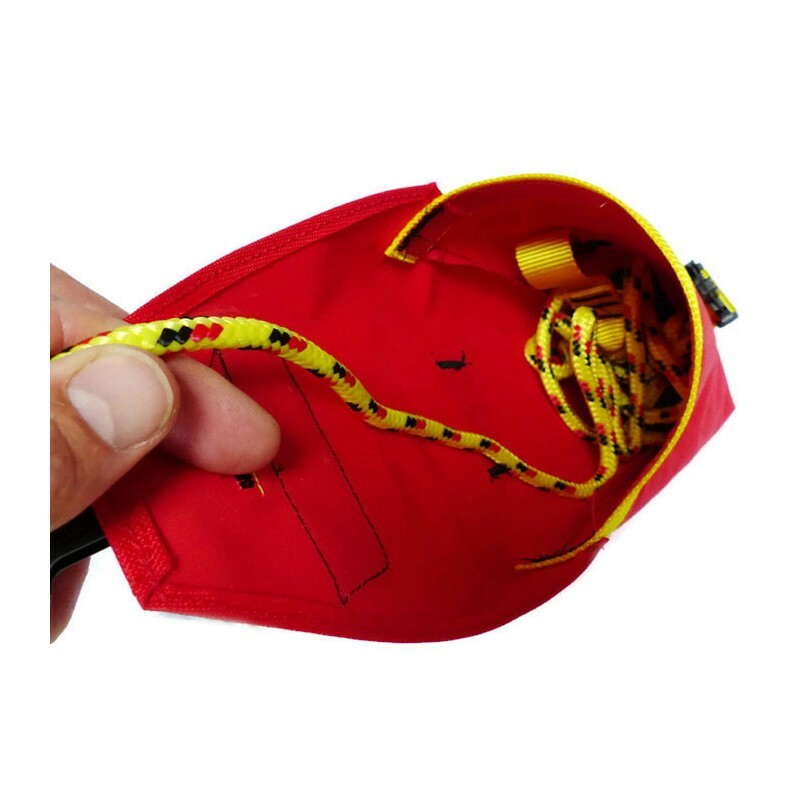 We have designed some throwlines that are very different to others available. 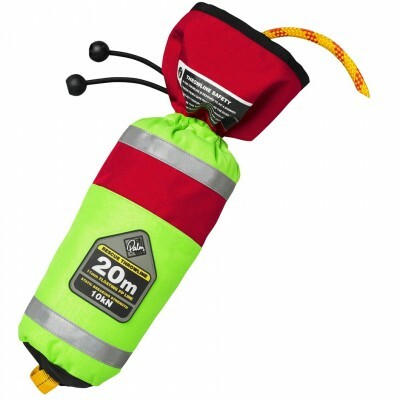 The priority in the design was to make thelightest throwline ever to be available and with the purpose to simply reach a swimmer and assist to a safer area. 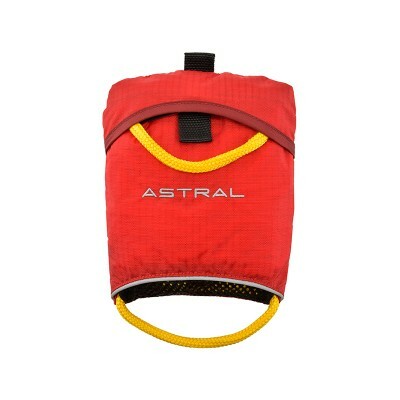 It is worth repeating this: to REACH a swimmer. 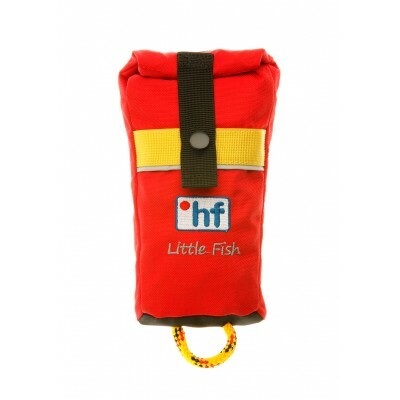 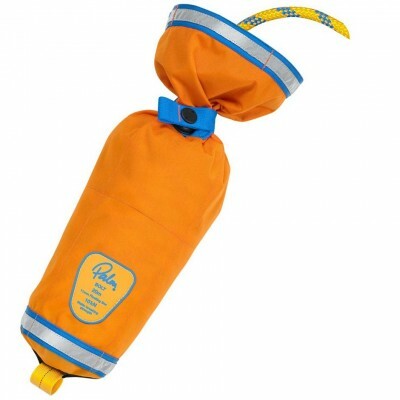 The throwline bag is made of heavy duty polyester canvas. 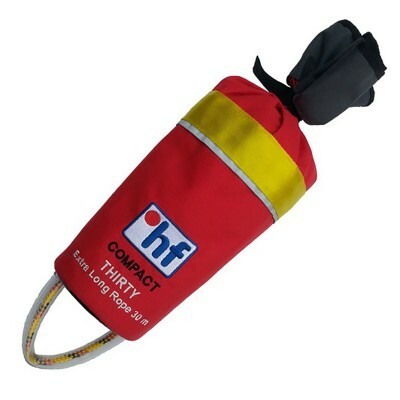 Fitted into the base of the bag is a float. 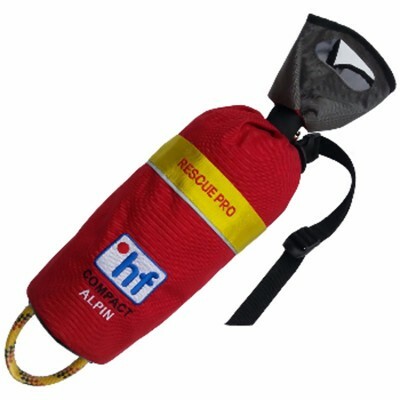 The line is connected to the bag via an integral webbing extender. 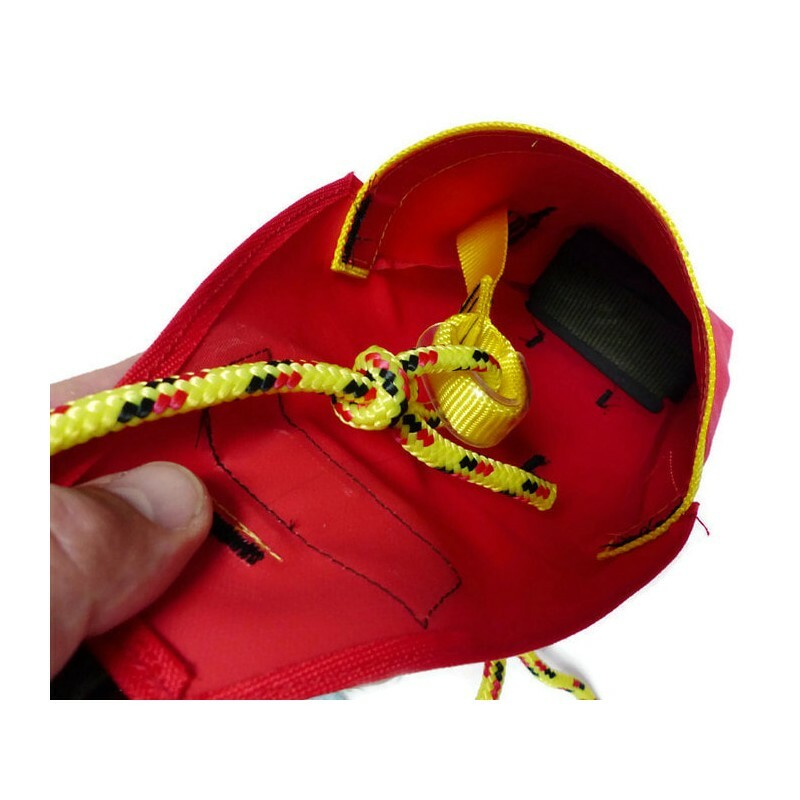 This is bar tacked into the side of the bag and threads though a secret button hole to reveal on the outside as an attachment loop. 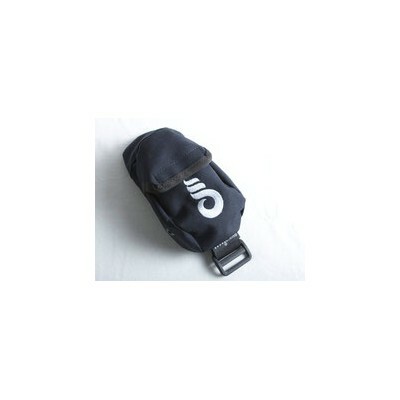 There is no loop on the outside of the base of the bag - it is left clean. 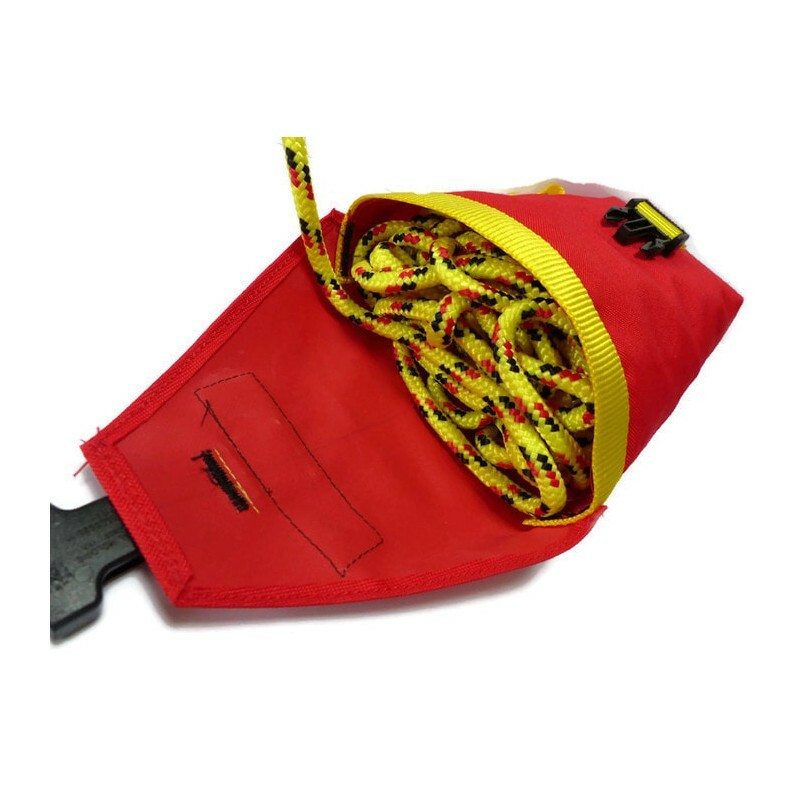 untie the line from the bag. 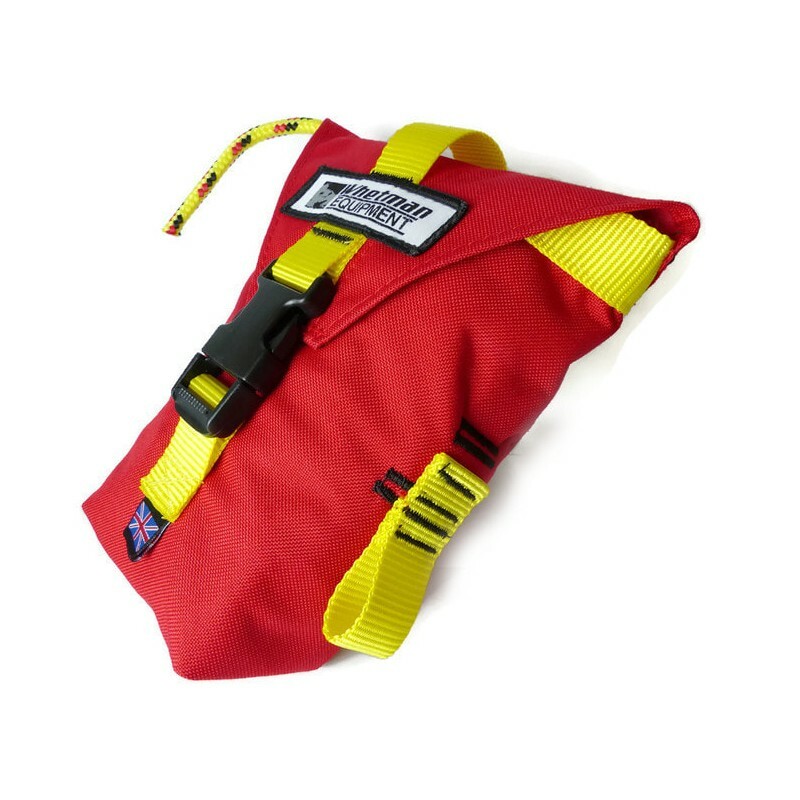 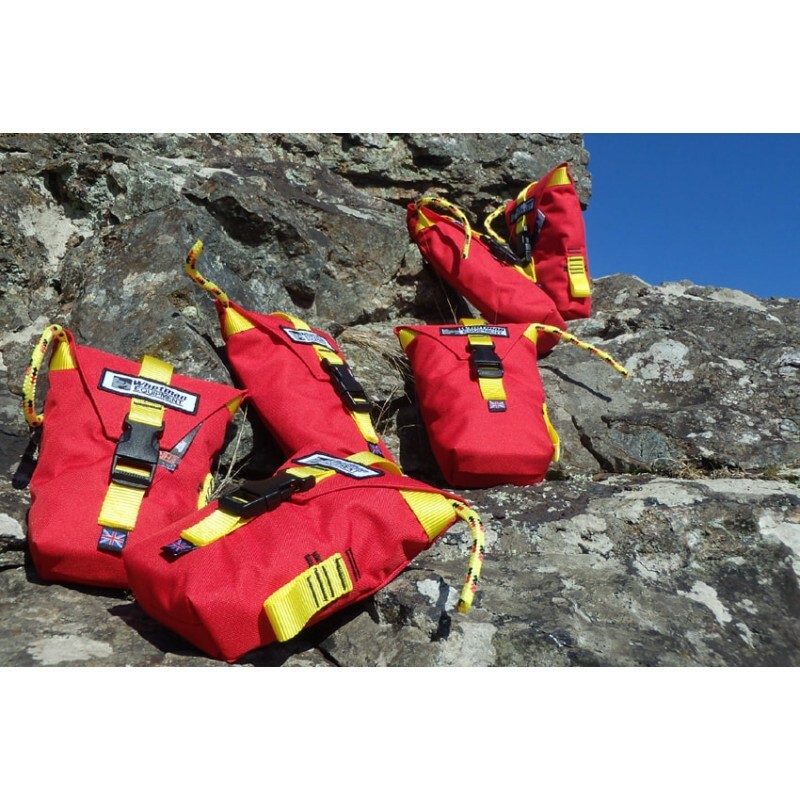 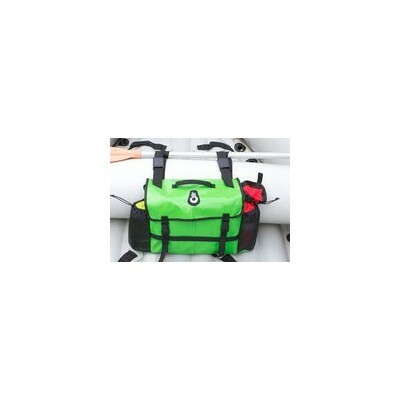 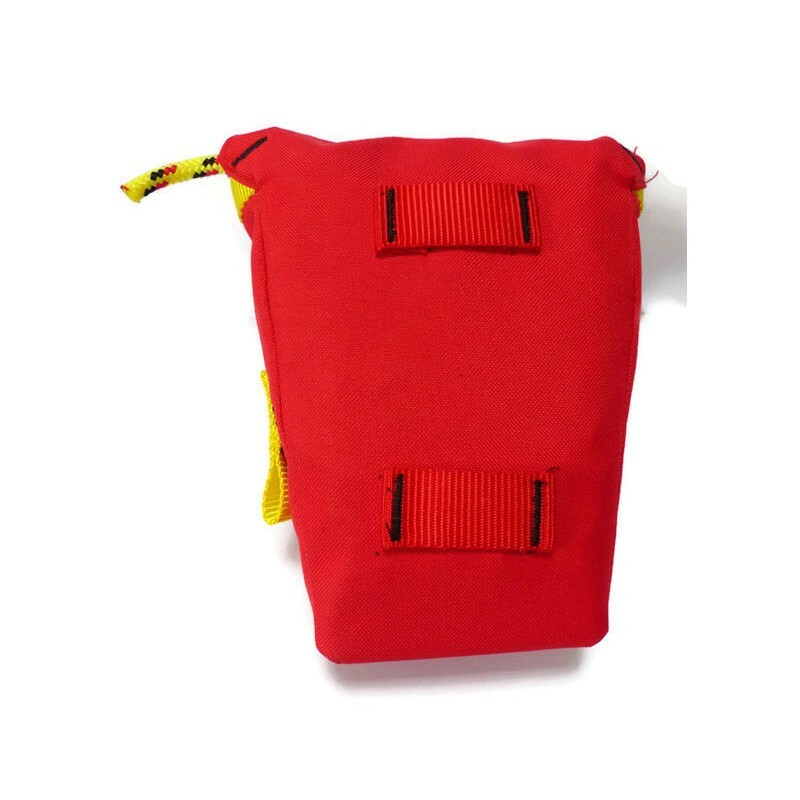 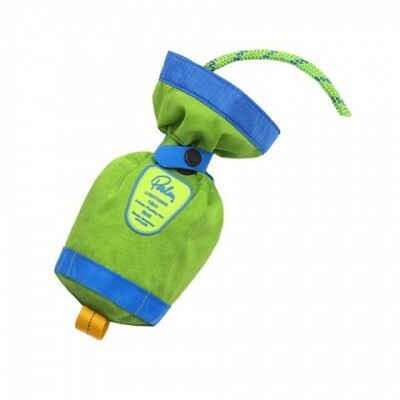 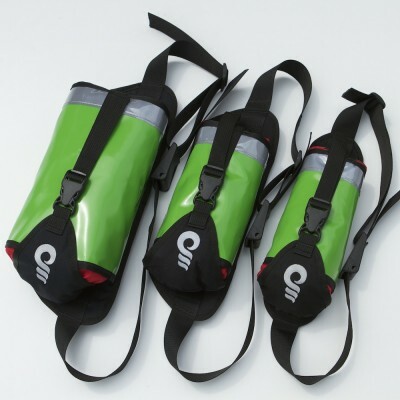 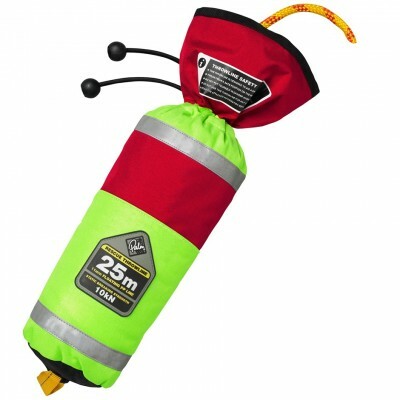 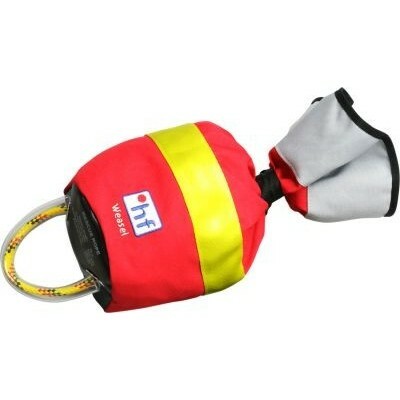 ​The bag shape is designed to be open to allow easy exit of the rope in deployement. 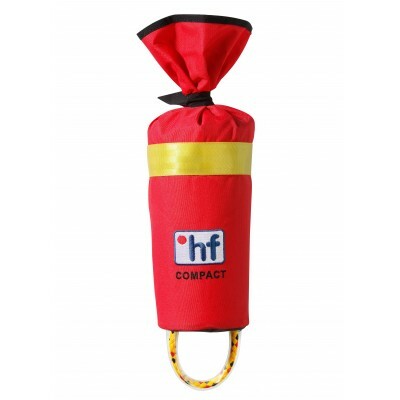 The shape is like a pop corn box offering a wide mouth for very easy repacking. 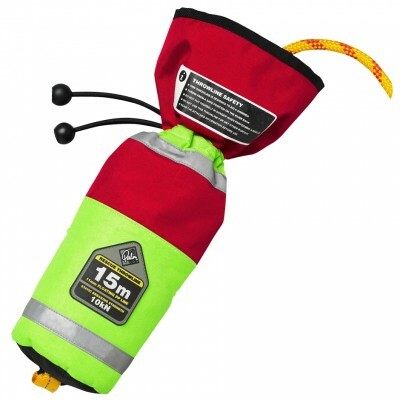 There are no elements on these bags such as eyelets or metal poppers that can corrode. 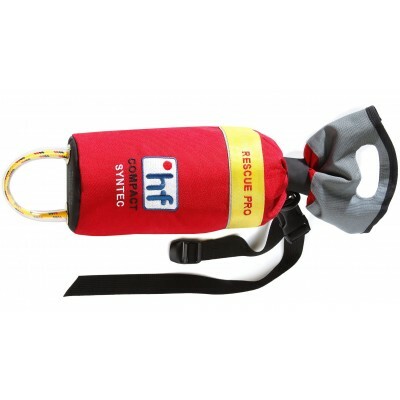 These lines are suitable for marine applications such as coasteering and sea kayaking. 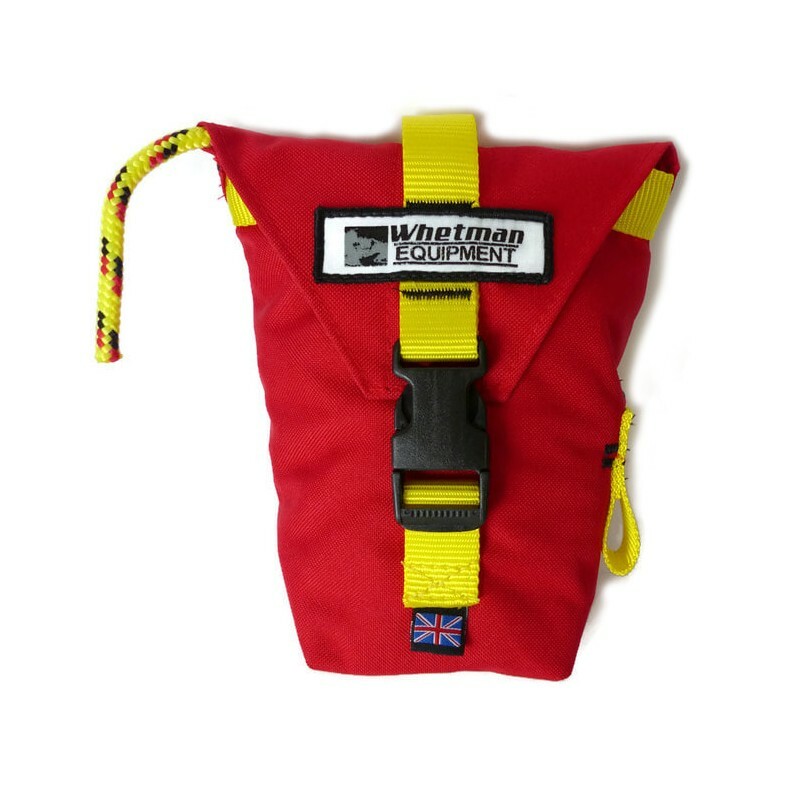 Belts loops are fitted to all throwlines to fit up to a 50mm webbing belt. 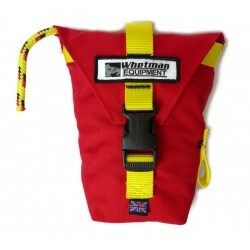 The Whetman Equipment WATER BELT can combine to offer a quick release waist belt.